Official two-vol. 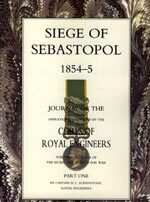 history of the Royal Engineers at the siege of Sebastopol. The culminating struggle of the Crimean War (1854-55) was one in which the Engineers’ skills came into their own. Sebastopol is one of the classic sieges of all time. The culminating struggle for the strategic Russian port in 1854-5 was the final bloody episode in the costly Crimean War. 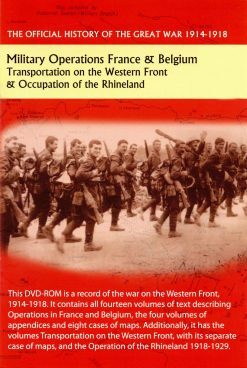 It was a story of trench warfare, struggles for strongpoints (“Redans’) and bitter bravery and tenacity on both sides. Above all, perhaps, it was a struggle in which the skills of military engineers came into their own. 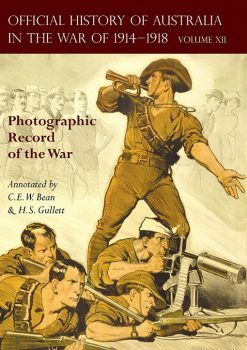 Published by order of the Secretary of State for War, this handsome two-volume publication is a very detailed Official History with maps and diagrams. 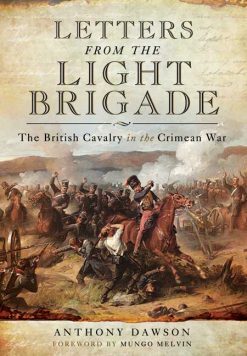 Part I: Sets the siege of Sebastopol in the context of the war as a whole from the Invasion of the Crimea to the close of the Winter Campaign 1854-55. Part II: From February 1855 to the Fall of Sebastopl, September 1855. This book is one which no serious student of the Crimea can afford to be without.